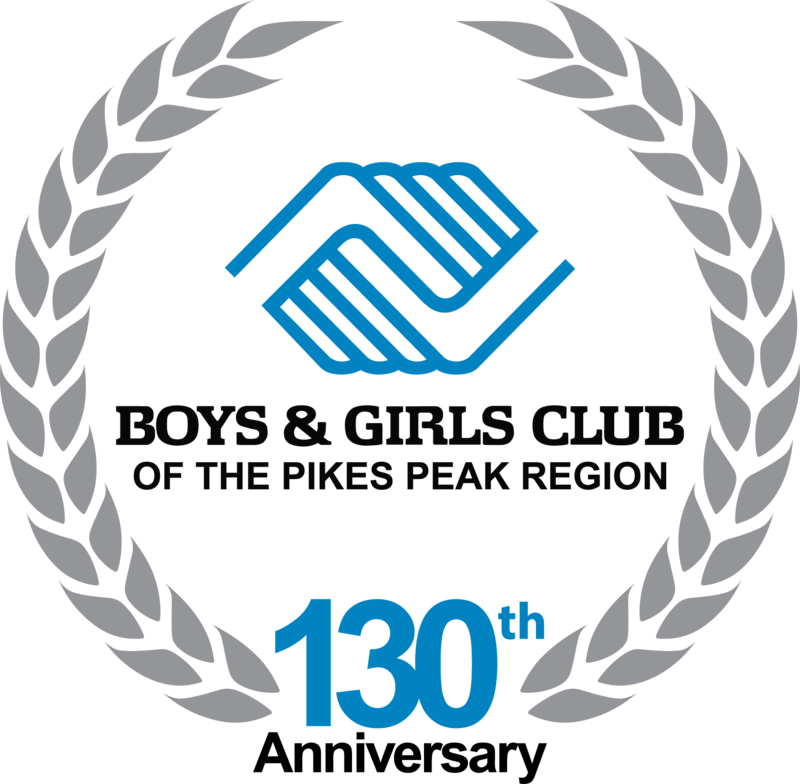 The Boys & Girls Club of the Pikes Peak Region has served the community since 1888 – 130 years. Our organization is also the oldest Club west of the Mississippi River and the eighth oldest Club of more than 4,300 worldwide. During our 130-year history, our organization has devoted itself to providing the youth of the Pikes Peak Region with a safe place to learn and grow. We operate two after school youth development programs and four before & after school child care programs in the Pikes Peak Region, serving approximately 1,000 youth with nationally acclaimed programming. 1888 - The Club was originally founded as the Ernest Whitney Boys Club. 1896 - Formally chartered by the King's Daughters of the City of Colorado Springs. 1907 - The original Club opened in downtown Colorado Springs at 605 South Tejon Street on October 10th. 1968 - Ground was broken to build the El Pomar Branch to serve the growing population on the West side (funding from El Pomar Foundation). 1970 - The El Pomar Club was opened to members in February 1970. 1984 - The downtown Club closed and was replaced by the Eleanor Armit Tutt Branch at 1455 South Chelton Road. 1987 - The Boys Club became the first Boys & Girls Club (accepting girls as members) in Colorado. 2008 - Oak Creek, Soaring Eagles, and James Irwin Charter Elementary Schools became chartered Boys & Girls Club Before & After School Child Care Clubs. These three schools join Eagleside and Mesa Elementary Schools as Before & After School child care providers. 2011 - Otero Elementary School became an additional child care Club. These six locations joined our three traditional after-school programs at Tutt, El Pomar and Falcon, for a total of nine Boys & Girls Club programs being offered throughout the Pikes Peak Region. 2012 - The Boys & Girls Club of the Pikes Peak Region Before and After School Care Program officially changed it's name to Kids Club 360! 2013 - Falcon Afterschool program shut down in March. 2013 - Opened up James Irwin Charter Academy in August to provide Kids Club 360 before and after school programs. 2013 - Kids Club 360 at Oak Creek transitioned into a feeder site to Kids Club 360 at Otero in December. 2014 - In May, James Irwin Charter Academy closed Kids Club 360 before and after school programs. 2015 - Kids Club 360 at Mesa transitioned into a feeder site to Kids Club 360 at Eagleside for the fall school year. The Boys & Girls Clubs of the Pikes Peak Region has a rich history. The first Boys Club of America had its beginnings in 1860, when several women in Hartford, Connecticut decided that boys who roamed the streets should have a positive alternative, so they organized the first Club. Originally founded as the Ernest Whitney Boys Club in 1888, The Boys & Girls Club of the Pikes Peak Region began as the oldest Boys Club west of the Mississippi River and the eighth oldest Club in the world. It was formally chartered in 1896. Interestingly, at the time, the mission of the Club was "to care for and promote the moral, mental, and physical well-being of boys in and around Colorado Springs - and to remove them from temptation and demoralizing influences." In 1898, a charity ball raised an initial $170 for a building fund. General William H. Palmer, founder of Colorado Springs, contributed land for development at the corner of Tejon and Rio Grande Streets in 1900. On October 10, 1907, the original Boys Club building was opened. Funds provided by the El Pomar Foundation, permitted enlargement of the facility to its present size. Although it no longer serves as a Boys & Girls Club, the structure is still in use today. By the mid-sixties a second Boys Club was needed. The El Pomar Foundation again provided expansion funds. In 1968 ground was broken for a new facility, named the El Pomar Club, which was opened February 1970. The Central Unit, located at 605 South Tejon, and the Administrative Office at 105 East Moreno were closed April 29, 1984 and were replaced by the opening of the new Eleanor Armit Tutt Club on June 3, 1984. In 1987, the Boys Club of Colorado Springs became the first Boys Club in Colorado to become chartered as the Boys & Girls Club of the Pikes Peak Region. In 2006, in partnership with the Department of Defense – Army, the Boys & Girls Club of the Pikes Peak Region opened five new Boys & Girls Club sites as licensed Before and After School Child Care; Soaring Eagles, James Irwin, Mesa, Oak Creek and Eagleside. In 2011, we gained one more licensed Before and After School Child Care site: Otero Elementary. These six locations also join our three traditional after-school programs at Tutt, El Pomar, ad Falcon for a total of nine Boys & Girls Club programs being offered throughout the Pikes Peak Region. In 2012, the Boys & Girls Club of the Pikes Peak Region Before and After School Care Program officially changed its' name to Kids Club 360! A few Kids Club 360 sites transitioned into feeder sites such as Oak Creek which feeds to Otero and Mesa which feeds to Eagleside. This leaves the organization with two Boys & Girls Club locations and four Kids Club 360 locations.